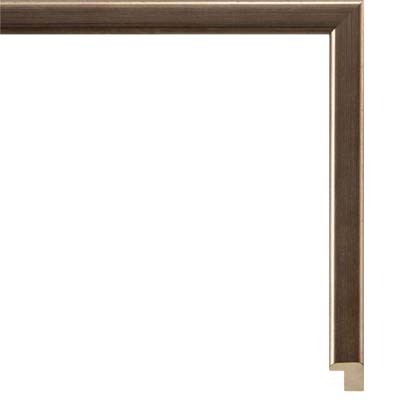 Satin bronze picture frame with black wash, metallic bronze appearance. This frame is 1/2 inch in width. This small of a frame should not be built with either size larger than 24 inches.